1. A penny costs 2.4 cents to manufacture. And we wonder why our country is going broke? Do we even need more pennies to be manufactured? These annoying little crumbs of our cash, (that are commonly left in the “Take a Penny, Leave a Penny” dishes at convenience stores because of their minuscule value), are costing our government 2.4 times their value to be created. 2. More than 2 million Americans live on less than $2 a day. This sad truth is a result of our economy in America today. But let’s look at the bright side of this interesting tidbit: if 2 million Americans have figured out how to live off a budget as small as $60 a month, there must be some places in our personal budgets that could be cut back a little, right? 3. The Bureau of Engraving and Printing uses 9.7 tons of ink each day. The United States Bureau of Engraving and Printing (also called the “Money Factory”) has two active facilities from which it prints money today. There is one located in Washington, D.C. and another in Fort Worth, Texas. Together these two facilities use a mind-blowing 9.7 tons of ink per day. That is almost the equivalent weight of 3 cars! 4. 5% of the people who buy lottery tickets account for 51% of all tickets sold. While we are on this subject, it should be noted that a person who drives 10 miles to buy their lottery ticket is three times more likely to be killed in a car accident while driving to buy the ticket than they are to win the jackpot. How’s that for some odds? 5. 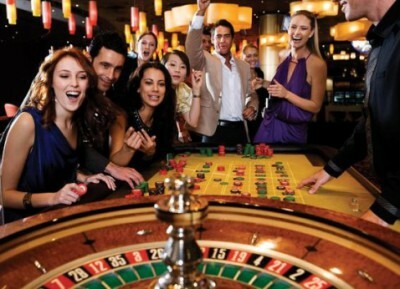 Gambling generates more revenue each year than movies, spectator sports, theme parks, cruise ships and recorded music COMBINED. 6. 94% of bills are contaminated with bacteria. A 2002 study found that approximately 94% of the paper money that moves from hand to hand is contaminated with bacteria. While most of these micro-organisms are not harmful to your health, there are around 7% that can be hazardous to your health. These dangerous pathogens include those that cause pneumonia and staph infections. The flu virus, which can normally survive outside the human body for only 48 hours, can live on a dollar bill for over ten days. 7. It takes around 8000 folds before a bill will tear from use. (I wonder who took the time to figure this one out!) When a bill is too worn or shows excessive signs of use, it will be removed from circulation by the Federal Reserve and replaced with a crisp new version. The life of a bill depends on its denomination. A $1 bill has a life expectancy of approximately 5.9 years, where a $100 bill can expect to survive in circulation for up to 15 years. 8. 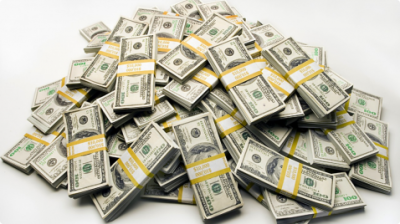 There is more Monopoly money printed every year than actual cash. The board popular game prints up to $50 billion of its currency each year. The Bureau of Engraving and Printing has a much smaller budget it must follow, with only $826.7 million allocated for printing costs in 2014. 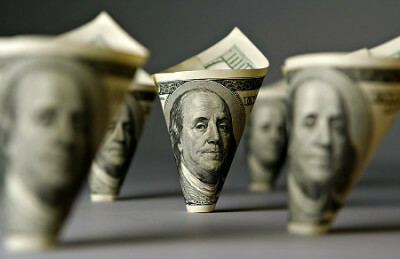 Last year they produced approximately 26 million bills a day, with a total face value of over $1.3 billion. 9. 90% of all US bills have at least a trace of cocaine on them. A scientific study conducted in 2009 concluded that somewhere between 90-94% of all bills in circulation carry traces of cocaine on them. This is largely due to the practices of drug traffickers who move large amounts of cash with the drug all over their hands, and the fact that the bills are often rolled up into straws and used to snort the drug. It is also believed that the rollers and brushes inside ATMs further spread the cocaine across stacks of bills. 10. Only 8% of the world’s currency is actual physical money. That’s right – it’s a digital world we live in. Only 8% of all the “money” around the world is actual physical cash. The rest is digital money that exists only on computers. Think about how often we buy or sell things online, or transfer money from one account to another with a simple phone call. The money goes from one place to another, yet we never actually see or touch it. This digital existence of currency makes up the vast majority of all cash around the world today. 11. Rats ate $10 billion of Pablo Escobar’s loose change. Since he couldn’t just walk into the bank and deposit all of his dirty money, he would bundle rolls of $100 bills and store them in his warehouse, where the rats would enjoy the savory taste of his cold hard cash. Why he never thought of investing in a nice loyal cat or two to control the rat infestation is a mystery to many. If that isn’t crazy enough, it is also reported that his men would spend over $2500.00 a month to purchase rubber bands used to bind the rolled bundles of bills. This raises another excellent question: What are the best options for parking huge amounts of money? 12. 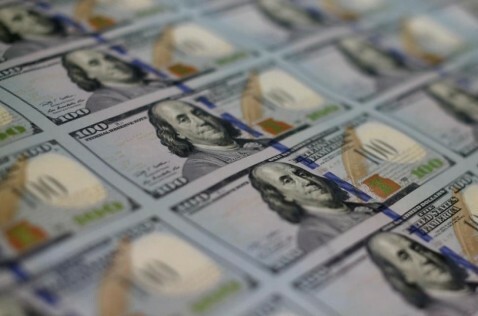 The largest denomination of US Currency was the $100,000 bill. The largest bill ever printed by the Bureau of Engraving and Printing was the $100,000 gold certificate, printed in 1934 and 1935. It was primarily used for business conducted between banks, and not used with the public. It quickly became a thing of the past though, and while the US Mint has also printed bills in other large denominations (such as the $500, $1000, $5000 and $10000 bills), the $100 bill we are familiar with today has been the largest denomination printed in the US since 1969. 13. North Korea is the largest counterfeiter of US currency. North Korea has mastered the art of counterfeiting our cash, specializing in a perfect replica of our $50 and $100 bills. These fakes are so impressive that they are referred to as “superdollars,” and are often only able to be detected with specialized equipment found at the Federal Reserve. As of 2009, an estimated $45 million worth of these phony bills have been identified, with millions more surely still in circulation. 14. The Secret Service was established to fight counterfeiting. In 1865 during the Civil War, the US Government created the Secret Service not to provide protection of the president, but rather to fight the war on counterfeiters. Their duties were later expanded years later to include investigating fraud against the government and protection of important political figures. 15. The average allowance in the US is $65 a month. According to a recent study released by the American Institute of CPA’s, the average monthly allowance for American children is close to $65 each month. This is a total of approximately $780 each year paid to our little ones, of which hardly anything is set aside for savings. 16. Americans spend $117 billion each year on fast food. Ever wonder what American’s spend all their hard-earned cash on? According to recent reports, we spent $51 billion on our beloved pets in 2012, with $310 million of that specifically spent on pet costumes. We also poured out $96 billion for beer, $800 million for Girl Scout cookies, $500 million on Twinkies and $65 billion for soda. Valentine’s Day is a big holiday in the US, with $1.7 billion being spent on flowers for that day alone, $11 billion on engagement rings, and $16 billion on the nearly 3 billion pounds of chocolate we consumed that year. Some other interesting buys include Coffee: $11 billion, Over-the-Counter Teeth Whiteners: $1.4 billion, Tattoos: $2.3 billion, Tattoo Removal: $66 million, Video Games: $17 billion dollars, Alternative Medicine: $33.9 Billion, and Toilet Paper: $2.6 billion. One of the saddest expenditures? $18 billion spent on credit card late fees. 17. Credit Card debt now starts in high school. According to a financial website, the typical American now begins taking on debt as early as high school. These debts are usually in the form of either credit cards or car loans. Is it any wonder our nation is in debt when our children are somehow permitted to take out a loan or sign up for a credit card before they even finish high school? 18. 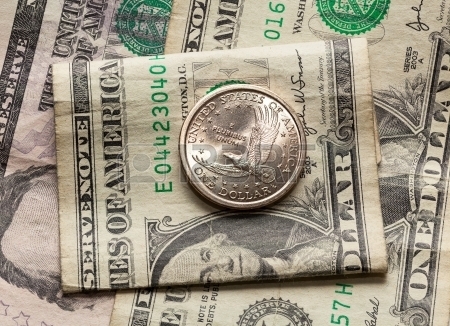 The secret design of the $1 bill links it to the original 13 colonies. 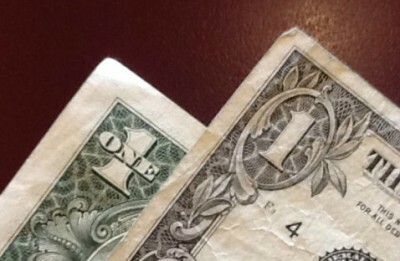 There are also 13 segments to the worm-looking things that come from the sides of either circle on the back of the bill. On the front of the bill, on the Department of Treasury seal, there are 13 stars above the key. Many people claim to find sets of 13 other items on both the front and back of the bill, but these were the ones I was able to confirm at this point. How many can you spot? 19. 96% of employed people will not be able to retire at age 65. According to the Employee Benefits Research Institute, approximately 96% of people who are currently employed, will not be able to collect their full Social Security retirement benefits when they reach the age of 65. Since the average American is living longer, the Social Security Administration had to make adjustments to be able to compensate for the additional payments it has to make. So about ten years ago it began implementing a plan that slowly extends the age you have to be before you can receive full benefits. This extension of work requirement only affects younger workers, with people born after 1960 now having to wait until they are 67 before they are eligible for full benefits. 20. If you have $10 in your pocket and no debts, you are wealthier than 25% of Americans. A 2002 study found that approximately 94% of the paper money that moves from hand to hand is contaminated with bacteria. While most of these microorganisms are not harmful to your health, there are around 7% that can be hazardous to your health. As if this alone is not disturbing enough, take into consideration the fact that six members of the Walton family (the family that owns the Walmart fortune) are more wealthy than the lower 30% of Americans today. That’s right. These six individuals have more money between them than all the money combined with approximately 94.2 million people in our country today.